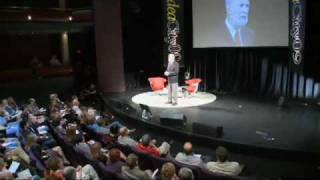 Tom Harpur at ideacity 2009, produced and presented by Moses Znaimer. ideacity, also known as ‘Canada’s Premier Meeting of the Minds’, is an eclectic gathering of artists, adventurers, authors, cosmologists, doctors, designers, entertainers, filmmakers, inventors, magicians, musicians, scientists and technologists. On April 19, 2008 the CBC documentary The Pagan Christ won the Platinium Award in the category of Special Documentaries at the 41st Annual WorldFest Remi Awards gala in Houston, Texas. The festival is one of the oldest and most prestigious film festivals in North America. In 2008 the film also won the Gold Camera Award in the category of Documentary: Religion, Ethics and Humanities at the U.S. International Film and TV Video Festival at Redondo Beach, California. Hearty congratulations to David Brady Productions. A copy of the DVD can be ordered by Email, or by phone: 613-352-3377.